Travelling is an experience that brings love and happiness in oneâ��s life. 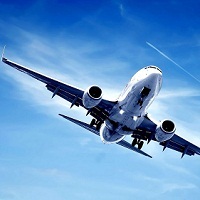 If you are also thinking to travel and want to avail Airline Ticketing Services, then you have come to the right place. Based in Port Blair (Andaman and Nicobar Islands), we offer you with efficient Airline Ticketing Services. The tickets are booked by the said time and are made delivered to your desired destination. Along with this, we make sure that all the relevant information is rendered to you. Be ready to travel and adventure new places. Our services are applicable to various parts of India.